QUESTION: Mr. Armstrong; Is it true that the central banks have been lying to us to create a false sense of confidence in order to reverse the economy? Is this part of their agenda? ANSWER: It has always been a confidence game. Those in power are constantly trying to boost the confidence of the people in order to stabilize their control over society. Above is a Roman coin from the tetrarchy period of Diocletian & Maximinus. The term meant “leadership of four” whereas there had been a chaotic period that spanned across 20 emperors whereby they came to power only to be overthrown by another. There was no political stability. 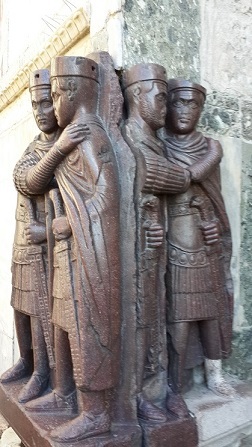 The Emperor Diocletian sought to create political stability and established the tetrarchy where there were two emperors and two “Caesars” who were like vice presidents in waiting. The power of governing the empire was split and marked the end of the crisis of the third century. Diocletian and Maximianus were the first and only emperors to retire. 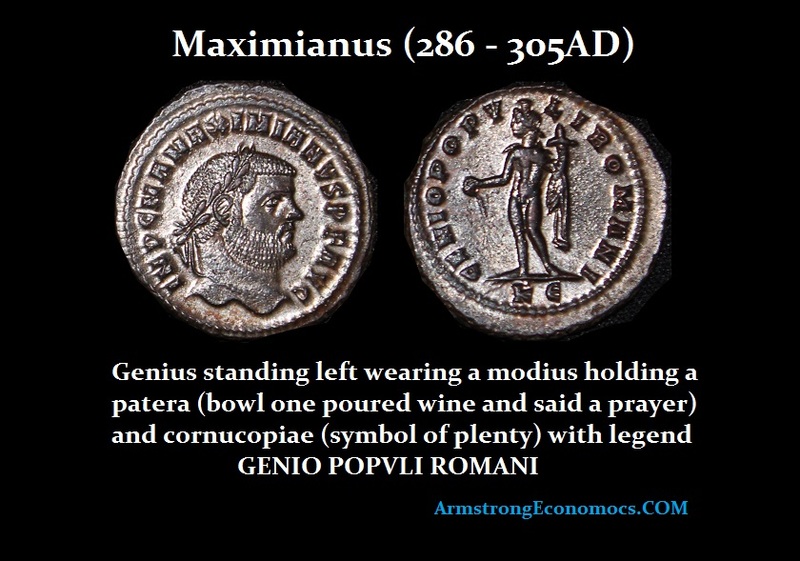 The most common coin minted during this period displayed Genius on the reverse holding a patera, which was a bowl into which you poured wine and said a prayer. This practice extended back to the Bronze Age and remains with us today as many say a prayer before eating a meal of thanks as we celebrate even on Thanksgiving. This was clearly an attempt to invoke the confidence of the people. So here, the coins are trying to invoke confidence that the Genius of the Roman people was there to protect them with prayers in one hand and the promise of the good old days in the other with the cornucopia. Today, we call someone smart a genius, someone possessed with evil motives has a demon inside them, and the rest of us are watched over by guardian angels. These are very old concepts that were meant to provide trust and confidence in life.